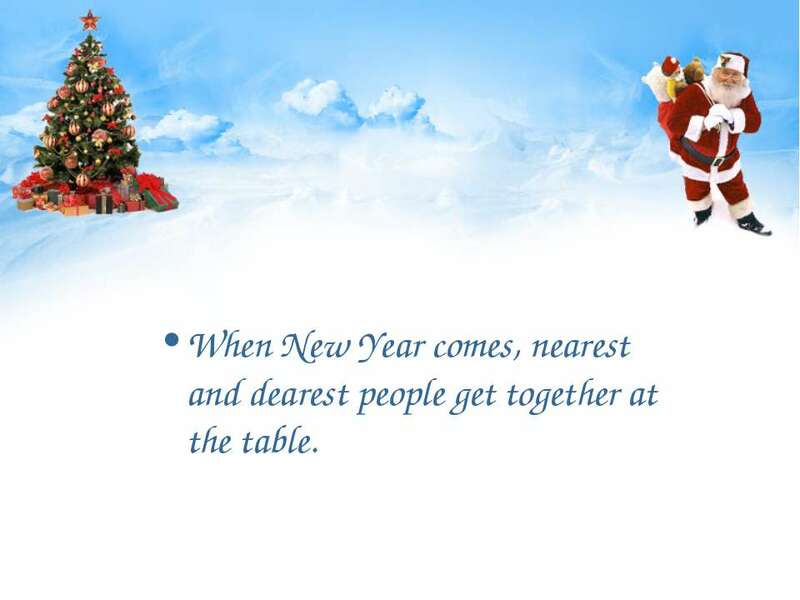 How is it??? 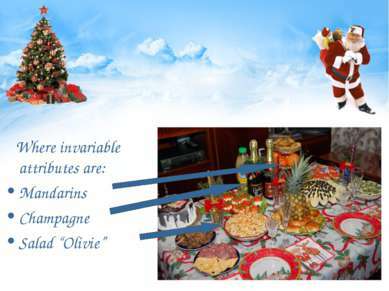 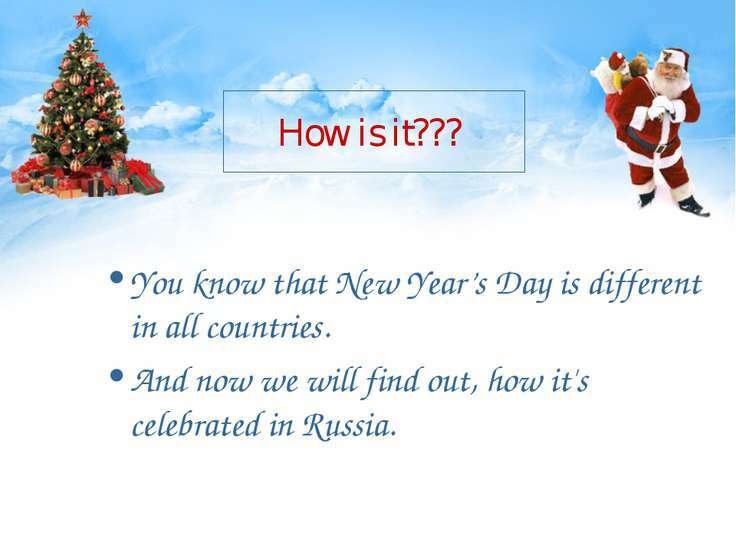 You know that New Year’s Day is different in all countries. 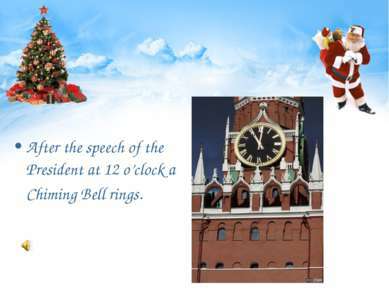 And now we will find out, how it's celebrated in Russia. Preparations for the celebrating of New Year usually begin a month before. All the people decorate their Christmas trees with different toys, balls, etc. 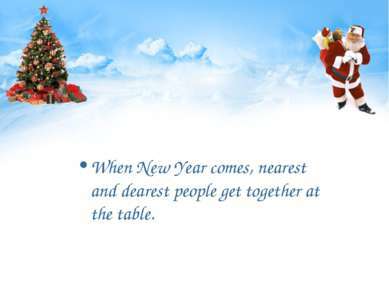 When New Year comes, nearest and dearest people get together at the table. After the speech of the President at 12 o’clock a Chiming Bell rings. 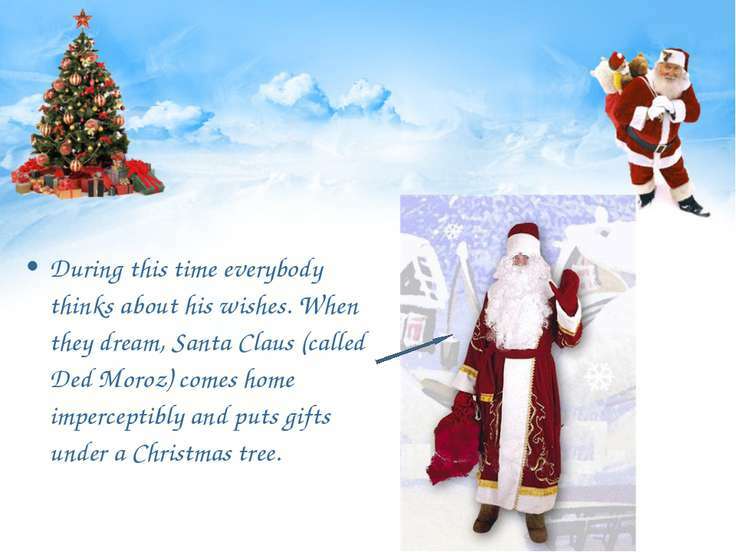 During this time everybody thinks about his wishes. 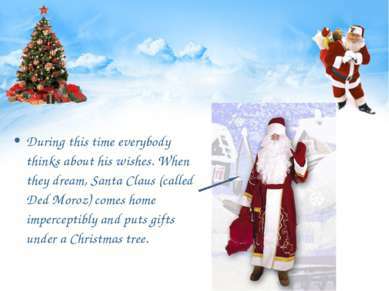 When they dream, Santa Claus (called Ded Moroz) comes home imperceptibly and puts gifts under a Christmas tree. 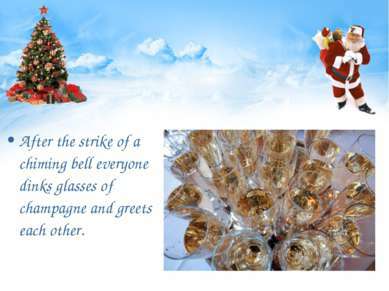 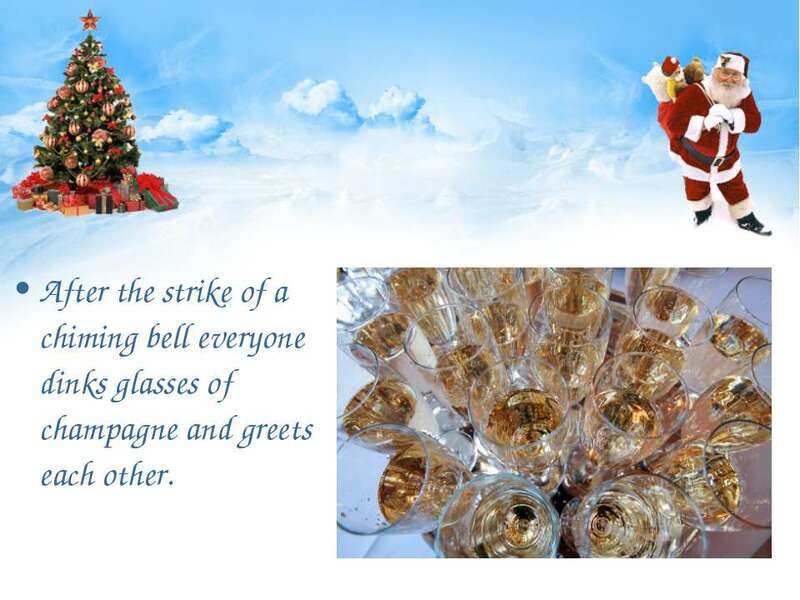 After the strike of a chiming bell everyone dinks glasses of champagne and greets each other. 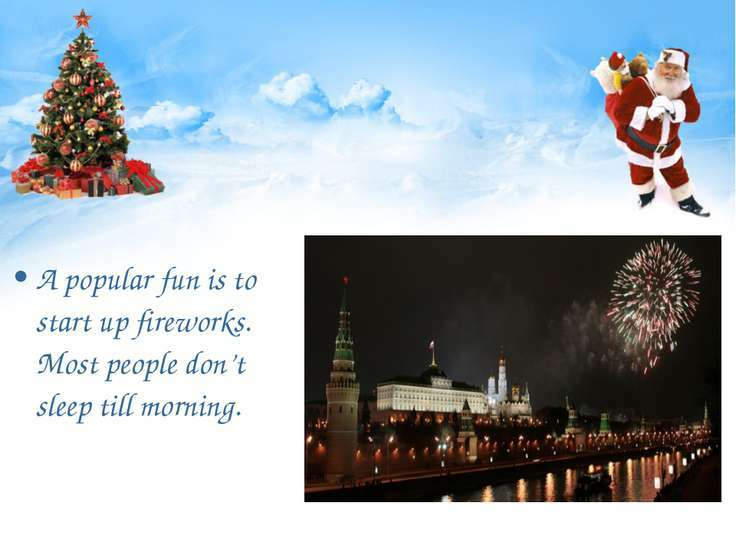 A popular fun is to start up fireworks. 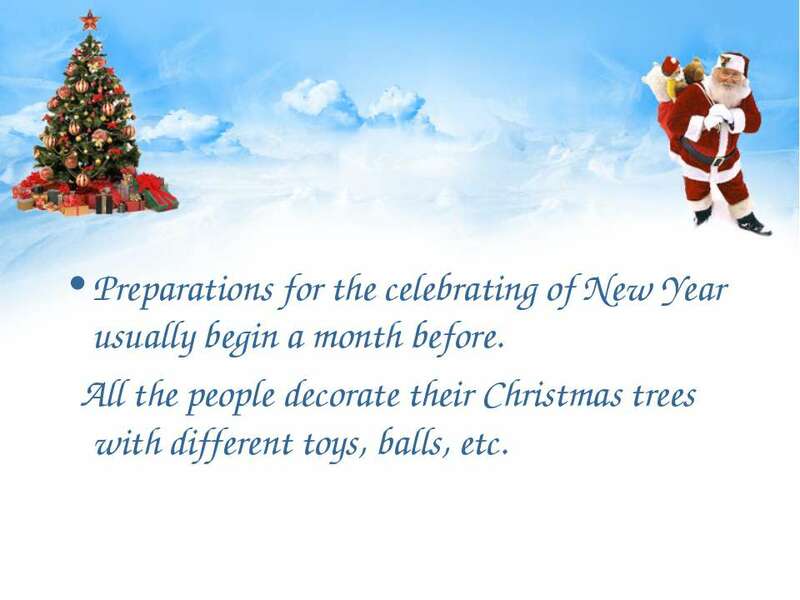 Most people don’t sleep till morning. New Year perhaps is the most expected and cheerful holiday in Russia. 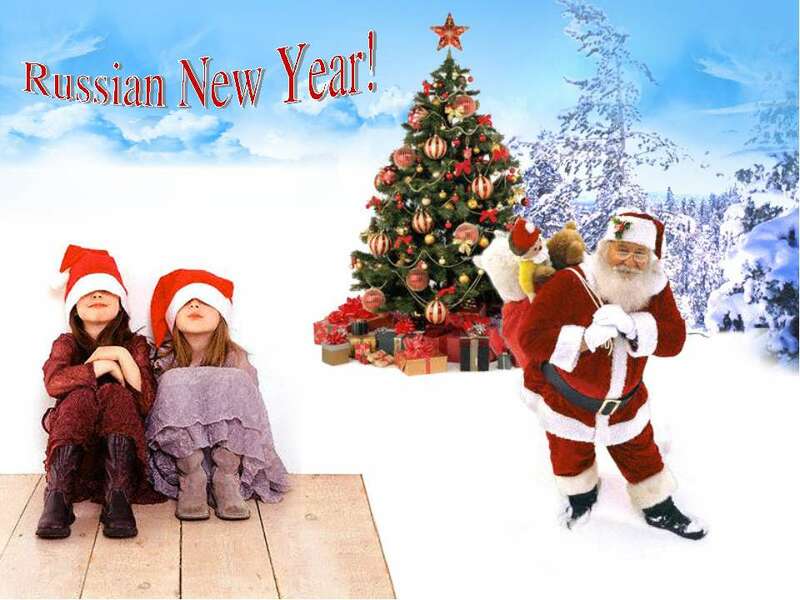 Новый год в Англии — Happy New Year!